So, I know I said I would wait until January to launch my new blog, but I couldn't wait. 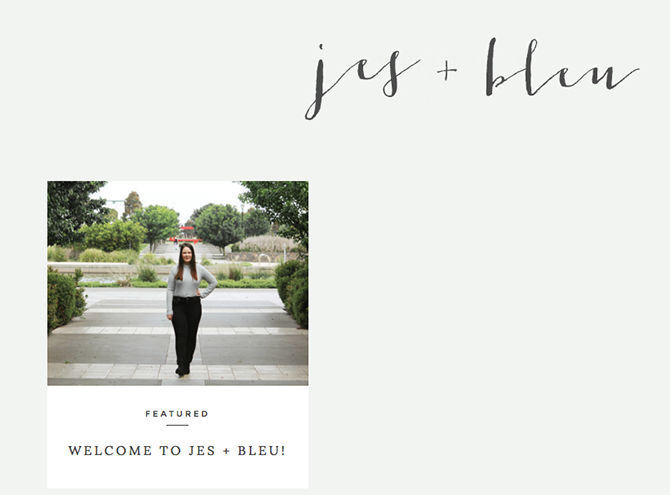 My excitement got the best of me, so without further ado, here is: Jes + Bleu. It would mean a lot to me if you could go ahead and check out my blog and it's one entry so far and instead of following Naturally Jes, follow this link here. There will be a new post coming this Saturday - for Halloween - on Jes + Bleu, so be sure to keep a look out for that!